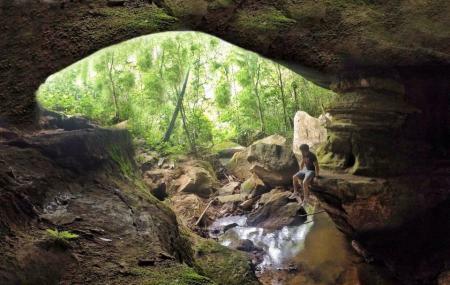 Casa De Pedra is a small sandstone cave which during the earlier times served as a shelter for the primitive people. If you opt for a guided tour, you would be able to get a better insight into how lives were back then and perhaps even the fascinating stories that are associated with Casa De Pedra. The interesting thing about the cave is the fact that it really does appear like a home complete with rooms, kitchens, tables and more. You can reach the cave by a trail made for the circuit of the waterfalls inside the National Park of Chapada dos Guimarães. Nos remete a idade da pedra. Sensacional!!! Onde foi gravada cena da pantera de fera ferida.